This holiday season, give a gift that gives back! 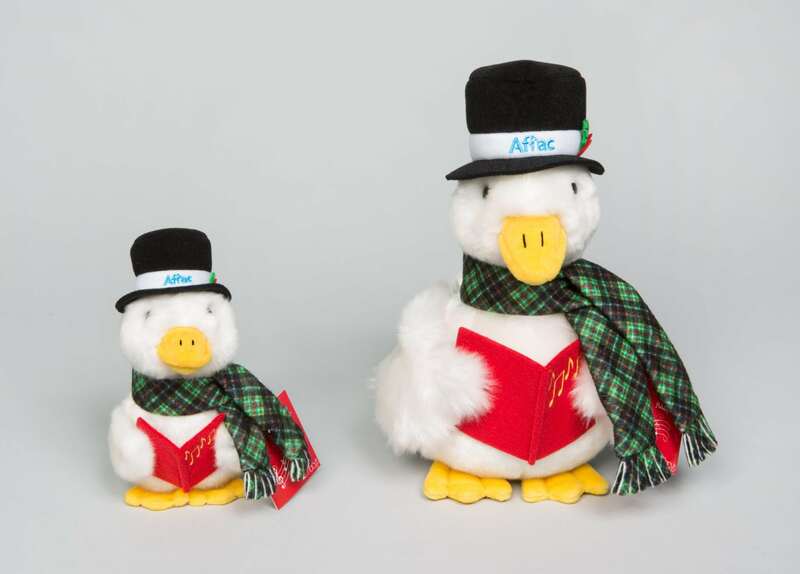 When you purchase an adorable 2016 Aflac Holiday Duck, the net proceeds benefit select Children’s Miracle Network Hospitals and other pediatric cancer facilities across the country. An annual collector’s item, the beloved plush duck is available online at aflacduckprints.com. Donning the clothing of a Christmas caroler, including a top hat with poinsettia and a snazzy scarf, this year’s Aflac Holiday Duck is ready to quack a cheerful holiday tune from his red music book. And when you give him a gentle squeeze, he will bellow the famous “Aflaaac!” – sure to put smiles on faces young and old for a great cause. Aflac’s Holiday Duck sales are a part of the company’s comprehensive Duckprints campaign, in which the company will donate $2 – up to $1.5 million – to childhood cancer research and treatment for any social activity on Facebook, Twitter and Instagram using the hashtag #Duckprints and for every viewing of a Duckprints-related video on YouTube. New this year is Duckchat, an Aflac app where consumers can get custom Aflac Duck emojis and GIFs. In addition to using the hashtag #Duckprints, Aflac will also donate $2 with each download of Duckchat, which is available in Google Play and the Apple app store. Next post: KDD Radiothon raises $551,886 for Akron Children’s Hospital!